EAS are happy to announce that Dan Martins achieved Bronze in Abu Dhabi. After a hard fought contest we are extremely proud of what Dan has achieved. Sterling Training and Assessment Services was formed in 1998 to fill a much needed gap in the gas skills arena, the main aim to offer the very best experience for customers in an ever changing industry, through many years of growth and investment Sterling have continually expanded offering new training courses and services. 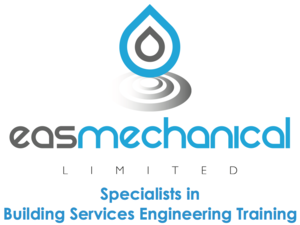 EAS has now teamed up with Sterling to cover training for Gas Pathways so our customers do not have to travel as much as previous to achieve their end goal. 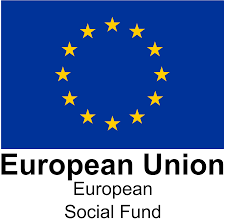 We can now cover the whole of Northamtponshire and further afield ensuring costs are reduced along with time lost from off the job training. Another reason is to ensure we raise the standards of training and assessments. We have seen to many 'training and assessment' centers basically giving anyone a Gas ticket and we feel this is no good for the industry or the end consumer. So we plan to do it a little bit different but the end outcome will give you the confidence you are fully competent to carry out Gas works. From whatever background you are, whether your a Level 2 plumber or a beginner we at EAS will train you at our Northampton center to the highest standard. After this training has been concluded we then send you to Sterling for assessment. As we are two separate centers we feel that this is as true to the real world as you'll get it...... every house is different right? On completion of the assessments and when you've passed you can really be confidant with your workmanship. March 2017 ended a fantastic month for EAS. After various audits which all where passed we found out we had been nominated for the Apprenticeships 4 England award for small provider. Aknowledging the excellent delivery that EAS has been giving for the last 3 years the awards are nominated and voted by others delivering apprenticeships. Never thinking that we would win coming up against 4 others in the catergory who have been operating a few more years than us so it was a pleasent surprise when we did. 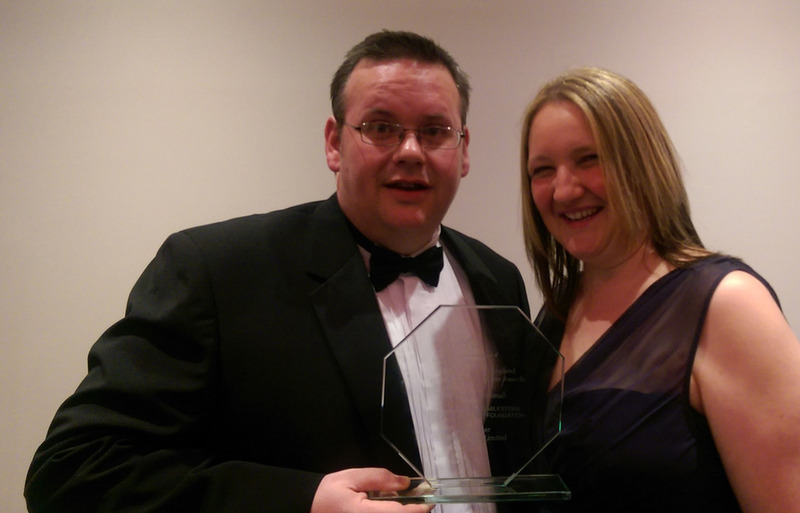 Eamon Wilson MD of EAS said "Winning this award is an fantastic achievement for all involved with EAS. With the centre only being 2 years old and to be recognised as a lead provider is extremely pleasing not only for me but for my staff who work extremely hard across the board to do things right. 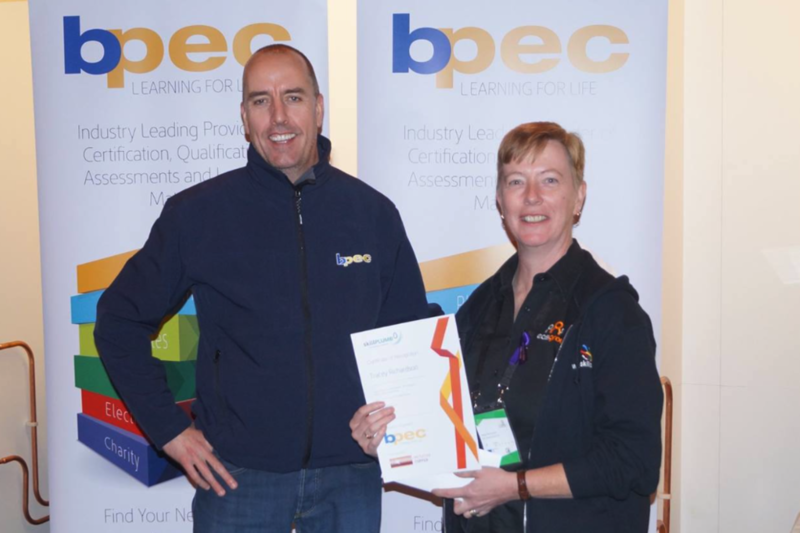 This award will also give confidence to companies who maybe thinking of joining EAS' journey so far"
Lead Assessor and IQA at EAS Tracey Richardson has won JUdge of the Year at the Skill Show 2016. Only announced in December it came as a bit of a shock. Tracey Said on winning "Im over the moon to have won the award. Its week of hard work but its great to see the competitors working hard and seeing the future of our industry"
The Skills Show held every year at the NEC in November showcases the best of Englands young talent before they embark on thier potenial journey to World Skills. From Nails to Welding, NAvy to the Army. The event is everything vocational and worth an visit. 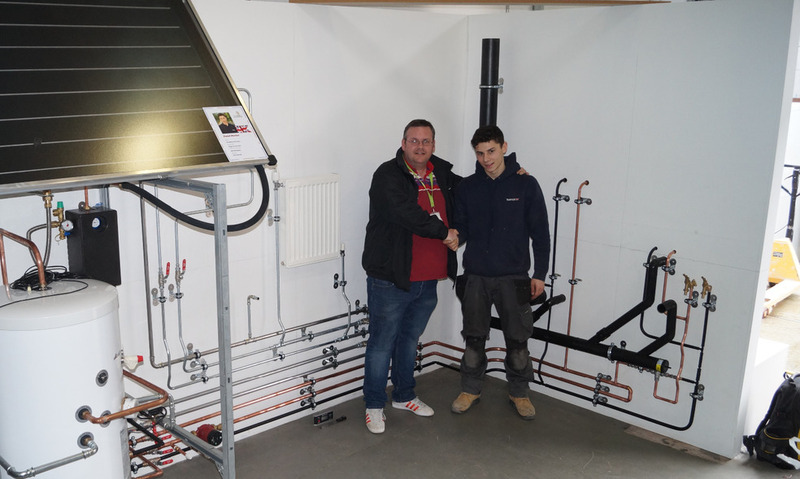 Dan Martins from Briggs and Forrester Group competed against Gavin Rice of Northern Ireland in the final showdown to see who would get the call up to TEam UK for the WorldSkill to be held in Abu Dhabi in October 2017. MD of EAS Eamon Wilson spent a few days at Stockport College to support the Apprentice and wish him all the best before selection is anounced at the end of April. Eamon went on "We are delighted to be here and see the last furlong for Dan. We hope he makes it but far play to Gavin whos giving him a good race. To get this far is unberleavable so whatever happens Dan shoudl be extremly proud"
Dan Said "what a week, its been hard as nails but ive really enjoyed the training and comptetions. Ive been throguhtout Europe training and dont wish it to stop to be honest. To get called up would be amazing so fingers crossed"
Stay tuned to Facebook, Linkedin and Twitter to follow Dans Story so far.